Houston (7-10-6) is winless in its last six matches, including four consecutive losses. 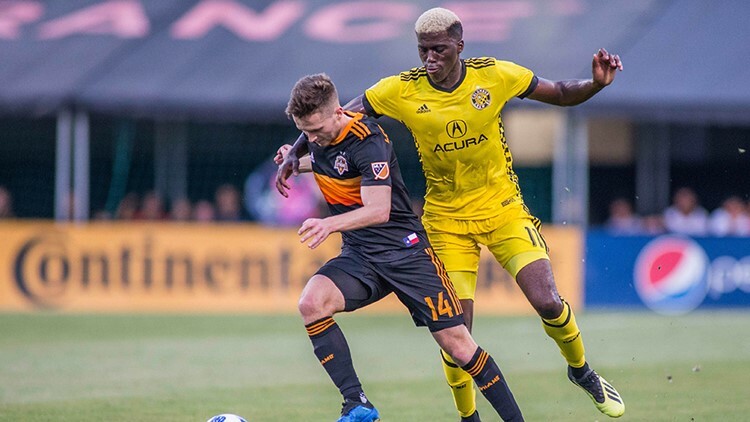 COLUMBUS, Ohio — Gyasi Zardes scored in the first minute of second-half stoppage time and the Columbus Crew beat the Houston Dynamo 1-0 on Saturday night. Zack Steffen had five saves, including a pair diving to his right, for his eighth shutout of the season.